There are women that just want to own leather jacket because it makes them look good. 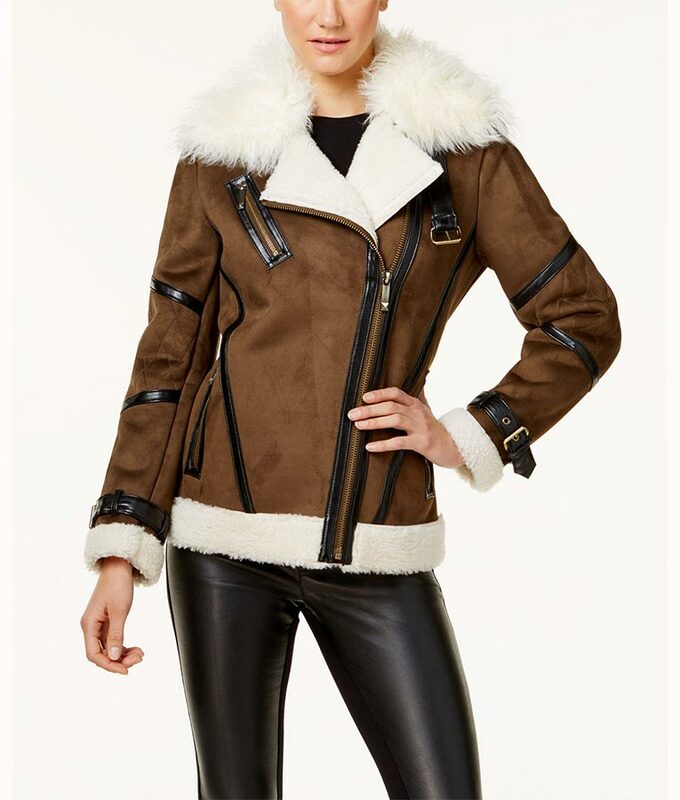 The clothing store has made sure that you can order the Asymmetrical Faux Leather Shearling Jacket. It is one of the all time favorite outerwears for the coldest season of the year. 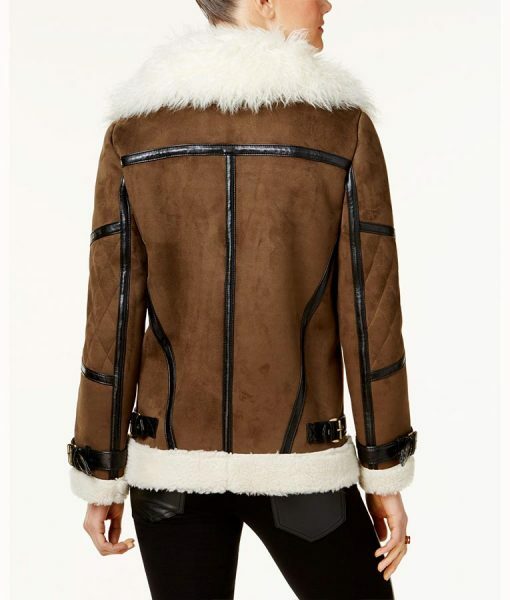 The Womens Brown Asymmetrical Leather Shearling Jacket is made from the faux leather and faux shearling fur as the lining. The jacket gets its unique name from the faux shearling fur on the cuffs and waistline as well as the collar. The faux leather is in brown color while the fur is on white. There is a front zip closure, three pockets and belts on the cuffs.